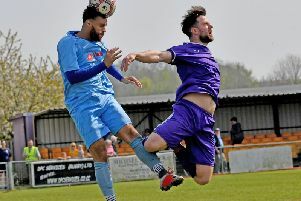 Rugby Town went down 2-1 at eighth-placed Godalming on Saturday, but are still fourth in the league. The home side went ahead in the 50th minute, but Justin Marsden looked to have done enough for a share of the points when he equalised in the 83rd. But a minute later a penalty for Godalming secured the win. This Saturday Rugby Town have another crucial game, at home to sixth-placed Barton Rovers at Butlin Road.